One of the most memorable matches to ever occur in the history of Mid-Atlantic Championship Wrestling took place in the month of June 1975. What made this match even more memorable was because it was the first time that the NWA World Tag Team Titles had ever been defended on television. On June 11, 1975, Paul Jones and Wahoo McDaniel defended their NWA World Tag Team Titles against former champions Gene and Ole Anderson in the WRAL TV Channel 5 studios in Raleigh, North Carolina. This bout is remembered not only for its intensity, but also for an ending that nobody could have forecasted. The “Supreme Sacrifice” match was not only significant in its own right, but it set off an unforgettable program that lasted through the summer of 1975 where Jones and Wahoo attempted to win the World Tag Team Titles back. These matches to come were some of the longest and greatest tag team matches in the history of professional wrestling. 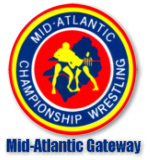 Hear Bob Caudle and David Crockett call the final minutes of this unforgettable match on Mid-Atlantic Championship Wrestling. NWA World Heavyweight Champion Jack Brisco was active in the area during the month of June. In Greensboro on June 5th, Jack teamed with his brother Jerry Brisco to go after then World Tag Team Champions Paul Jones and Wahoo McDaniel. While the Brisco’s came up just short in that encounter, Jack was back in the area soon after that defending his singles World Heavyweight Title. In Raleigh on June 17th, Jack defended his World Title against Paul Jones in a No Time Limit bout. Brisco turned around the next night and made a very rare appearance on the area’s television shows, wrestling twice on TV from the WRAL studios. On the Mid-Atlantic Championship Wrestling program, Brisco wrestled a competitive match against the 1974 NWA Rookie of the Year, Steve Keirn. On the territory’s Wide World Wrestling TV program, Brisco wrestled against the dangerous veteran Abe Jacobs. Brisco completed his mid-June sweep through the area the following night in Norfolk, Virginia, with a successful title defense against Sonny King. The long reigning Mid-Atlantic Heavyweight Champion Johnny Valentine was finally dethroned on June 29th at the Civic Center in Asheville, North Carolina by the ultra popular Chief Wahoo McDaniel. As one would expect, Valentine did not go down without quite a fight! Wahoo snagged Valentine for a quick three count with only a couple of minutes left in the 60 minute time limit. Wahoo later said, he couldn’t believe he had beaten the “Champ,” and that he just wanted to get out of the ring and get gone! Wahoo didn’t have much time to rest however, as he began title defenses against a young and hungry Ric Flair. This would begin a feud between Wahoo and Flair over the Mid-Atlantic belt that would last for a year and a half. Despite traveling to Tampa, Florida during the month of June, Mid-Atlantic Heavyweight Champion Johnny Valentine had a busy month of title defenses. Paul Jones and Rufus R, Jones were “The Champ’s” featured opponents in June, though Johnny also wrestled Wahoo McDaniel and Ken Patera multiple times in singles action as well. June would be Valentine’s last full month as Mid-Atlantic Heavyweight Champion, a title he had dominated for well over a year. The area’s other singles champion, “Nature Boy” Ric Flair continued to impress and hold the Mid-Atlantic Television Title during the month of June. While the largest number of Flair’s title defenses came against old rival “Number 1” Paul Jones, Ric was also developing a healthy rivalry with former Olympian Ken Patera. Flair would make fun of Patera’s 86 world weightlifting records, but nevertheless spent a good bit of time running away from Patera during their June title bouts. The Super Destroyer and Sonny King wrestled each other almost non-stop during the month of June….and their many battles against each other would for all intents and purposes reach their end by the month’s end. In June, these two wrestled in fence matches, lumberjack matches, matches with two referees and even matches where King would wear boxing gloves. While the Super Destroyer would win most of these climactic matches, both wrestlers would be leaving the area within a matter of several weeks. A major addition to the area’s roster in June was the arrival of “Professor” Boris Maximilianovich Malenko. “Professor” Malenko told the area’s fans that he was from the Russian school “of hard knocks,” that his school colors were “black and blue,” and that his school yell was “Ouch.” Malenko said he “was a human destruction machine, that would destroy everything in his path.” During the month of June, the Professor lived up to his boastful words. Using a devastating hold called the “Russian Sickle,” Malenko racked up quite an impressive array of victories in the month of June. The Professor began his stint with Jim Crockett Promotions wrestling mainly single matches, though he would shortly form an impressive team with the Missouri Mauler and significantly later, in early 1976, begin his role as a manager that he is often remembered for by Mid-Atlantic fans. June of 1975 ended with a bang with a spectacular card in Charlotte’s Memorial Stadium on June 30, 1975. Highlighting that memorable summer outdoor show was a main event battle between the Super Destroyer and Andre the Giant. Blackjack Mulligan returned to the area for a guest shot appearance fresh from the WWWF, to battle old foe Wahoo McDaniel in a brutal Texas Death Match. Ox Baker even made a guest appearance on this end of the month summer spectacular. June would give way to July, where there would be some major roster changes, and the heating up of the summer-long feud between the Anderson’s and Paul Jones and Wahoo McDaniel. And before July was even three days old, there would be a major new title introduced into the area---and Johnny Valentine would not only then be the “Champ” of the Mid-Atlantic area….but the Champion of the whole United States! 1. GENE & OLE ANDERSON---The “Minnesota Wrecking Crew” pulled out all the stops to regain the NWA World Tag Team Championship on June 11th for all to see on TV. And by the end of June they were embroiled in a red-hot feud with former champs Paul Jones and Wahoo McDaniel. The tag team feud between these two teams was like no other. 2. “PROFESSOR” BORIS MALENKO---The “Mad Russian” came into the area in June and made an immediate impact, dominating the competition with his devastating hold, the “Russian Sickle.” Malenko was neither especially big nor quick, but he could think and boy could he ever wrestle! 3. JOHNNY VALENTINE---“The Champ” kept rolling along, despite dropping the Mid-Atlantic title to Wahoo McDaniel. So much so, in fact, that he was able to very soon shift his attention to a new, and even more prestigious, title belt. 1. SONNY KING---After a strong year in the Mid-Atlantic area, King came out on the short end of his final series of matches against his big rival, the Super Destroyer. King only wrestled several dates for the promotion after the end of June. 2. SANDY SCOTT---An important player for Jim Crockett Promotions for many years, Scott’s in-ring role began to be de-emphasized during the month of June. Sandy would only continue to be an active wrestler with the promotion for a couple of more months. 3. BOB BRUGGERS---Much like Sandy Scott, his frequent tag team partner, Bruggers continued to slide further down the mid-card ranks during the month of June. After so much promise during 1974, the middle of 1975 was not being overly kind to the former Miami Dolphins football player.